Car accidents can jar a victim physically and psychologically, even if the damage is relatively minor. Being in a car accident can make driving in the future feel constantly unsafe and provoke feelings of anxiety that linger long after physical injuries are healed and property damage repaired. When someone is injured in a car accident, and requires medical treatment and time away from work, many choose to file a lawsuit against the other driver for negligence. Proving physical injuries is usually fairly easy through the use of medical reports, diagnostic testing and photographs taken following the collision. However, in some accidents, the victims can walk away with significant psychological injuries as well. One type of emotional injury that can accompany any traumatic experience is post-traumatic stress syndrome or PTSD. Most people associate this issue with soldiers returning from combat, but it can afflict anyone who experiences a scary or shocking event. Proving a PTSD-related injury in a car accident is often more difficult because it is an injury that cannot be seen, and is often misunderstood by the average person. But, proving it is possible, and is an integral part of receiving the full amount of compensation for an injured victim afflicted with this condition. A discussion about the evidence needed to prove the development of PTSD as a car accident-induced injury will follow below. Because psychological injuries are not visible to the naked eye, more work is needed to prove them. Further complicating matters is the fact that PTSD may not appear until months after the accident, which can be problematic if a lawsuit has already been filed. For this reason, a car accident victim must be proactive and visit his/her family doctor at the first sign of psychic stress. Assuming the person has a history with a family physician, this doctor will be in better position to evaluate changes in behavior and mood. If the doctor does notice changes, he/she will most likely refer the person to a psychologist or psychiatrist for further evaluation. Following up with this type of referral is crucial for proving the existence of PTSD. Psychologists and psychiatrists are specially trained to recognize and diagnosis PTSD, and their medical opinion will have greater significance at trial versus a general physician. 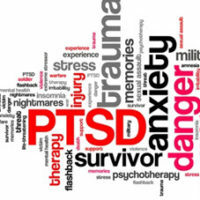 Obtaining a thorough and full documentation of this condition is crucial to establishing the presence of PTSD at trial. Importantly, failure to follow through with referrals from physicians to specialists for diagnosis and treatment can be seen as evidence that the problem does not exist or is not very serious. Most people have a basic understanding of what PTSD is, but few have an adequate understanding of how PTSD manifests itself and the effect it has on the life of the person afflicted. When important issues in personal injury cases are not easily understandable by the average juror, expert witnesses must be brought in to testify and explain the issue. Testimony from expert witnesses is often the pivotal evidence that decides the case. For PTSD specifically, the expert witness would explain how PTSD is diagnosed and whether a person with symptoms described by the injured party would qualify as PTSD. Unless the expert has an ongoing relationship with the plaintiff or personally witnessed the plaintiff exhibiting all the characteristics of PTSD, fact witnesses will also need to testify about behavior displayed by the plaintiff that would indicate he/she has PTSD. One important caveat worth pointing out is juries are less likely to find PTSD exists if the car accident was not serious. Thus, even though a person’s threshold for developing PTSD may be triggered by less serious events, convincing a jury the claim is legitimate would be an uphill battle. Car accidents can change a person’s life in an instant, and if you were injured due to someone else’s negligent driving, talk to an attorney about pursuing them for compensation. The Miami law firm of Pita Weber Del Prado represents injured car accident victims, and is available to advise you on the potential legal options in your case. Contact us for a free consultation.